When people in South Carolina hear about Lugoff Ford the first thing they want to know is, where is Lugoff? With a population of just over 7,000 people, Lugoff is a small town located in Kershaw County just outside of Columbia SC. But there is nothing small about Lugoff Ford’s commitment to their community or employees. One the biggest events Lugoff Ford provides for the community is the Annual Fall Festival. Within a few short years attendance has gone from a few hundred to approximately 3500 visitors in 2015. The Carnival atmosphere includes face painting, giant slides, a live reptile exhibit, balloon animals, pumpkin painting, rides and plenty of food. Since there is no charge for entry, rides or food everyone has the opportunity to experience the ‘Fair’ without the financial burden the typical State Fair visit can cost. Lugoff Ford is also a recipient of the Tocqueville Society Award from the United Way of Kershaw County. An honor reserved for an elite group of local philanthropic leaders at the forefront of creating a positive change in their community. The dealership proudly provides the bullet proof vests to the Kershaw County Sherriff’s Department deputies upon request. Donations are made to the Oliver Gospel Mission and the many services provided to the hungry and homeless. As a founding member of Lighthouse for Life, Lugoff Ford is committed to assisting this Safe House for victims of Human Trafficking. The goal of the Safe House is to bring awareness to the public and provide a safe place for rescued young people. Holidays are a special time for our community. We not only provide hams for all the employees we make sure our local police and fire departments receive a ham as well. Each Christmas local elementary schools provide the names of needy families and their children along with their wish list for Santa. Lugoff Ford makes sure to fulfill every wish on their list. Each employee also receives a Christmas Bonus in early December so they can fulfill their children’s Christmas wishes as well. Every employee is a valued member of the team and the community as well. Lugoff Ford understands the value of a healthy employee whether that is physically, emotionally or financially. With these goals in mind the dealership provides a no charge Wellness Center that includes a workout room filled with cardio equipment, weights and access to a personal trainer. There is a full time Life Coach available at anytime for no charge to provide advice, teach about time management or to simply lend an ear. Other employee life enrichment programs include John Wooden’s Pyramid of Success and Dave Ramsey’s Financial Freedom, both of which are open to employees and their families. All sales consultants are salaried employees so the focus remains on providing the best customer experience possible. Each consultant is eligible for volume and CSI bonuses. Weekly in house training is provided to help keep the consultants current on product knowledge. The training director is always looking for ways to provide a unique customer experience by providing information about how the female, internet and phone buyer shops and what kind of treatment they expect to receive. Each year Lugoff Ford hosts Employee Appreciation Night, held at Frankie’s Fun Park, a 15,000 square foot entertainment center that offers miniature golf, go kart racing, batting cages, video arcade and more. All employees their children and families are treated to a special night at the park which is closed to the public for this private event. Every ride and game is free plus pizza is provided along with a commemorative t-shirt. The management staff is rewarded with a year-end bonus and over $300,000 is given as a thank you for all the hard work the managers put in all year. There is also a management retreat and forecast meeting held at an offsite location each year. This event allows the management team to come together to discuss what they have learned over the past year and set goals for all areas of the dealership for the upcoming year. In October of 2015 the Midlands experienced a ‘once in a 100 years’ weather event, a devastating flood that left many people in the community with nothing. Lugoff Ford donated $10,000.00 to the Red Cross to aid in their flood victim relief efforts. Employees also donated cleaning supplies, toiletries and other household goods to be handed out to flood victims. Reaching out to our special needs community is a part of what Lugoff Ford does as well. The dealership was a big part of helping Kershaw County build an A.D.A. approved, state of the art, handicap accessible playground for children of all capabilities. Lugoff Ford also invested free time into assisting with The Autism Academy of South Carolina’s exterior renovations. The building was damaged by the floods as well and needed lots of T.L.C. With the assistance of a couple local churches we were able to paint, pressure wash, repair potholes and landscape the area. The building will also receive a brand new, custom sign. 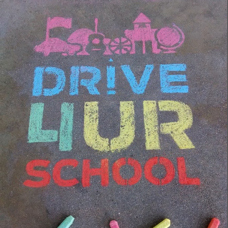 Lugoff Ford was very proud to partner with Lugoff Elgin High School for 2 ‘Drive 4UR School’ Events in 2015. One of the events, ‘Rock Then Roll 4 UR School’ paired the High School’s chorus with the band Foreigner for an unforgettable evening. The school chorus entered a contest, hosted by Ford) to win the chance to sing back up for (I Want To Know What Love Is) Foreigner at their concert in Columbia SC. Lugoff Ford hosted the chorus, band members and guests for a full day, offering free test drives and more. Each test drive won the school a monetary donation from Ford Motor Company. With the dollar total from the test drives matched by Lugoff Ford the school’s chorus was able to purchase much needed supplies. A couple weeks later it was Lugoff Elgin’s Basketball team’s turn to raise money. Once again, Lugoff Ford hosted both the girls and boys basketball teams and their effort to raise money for needed equipment. The rain didn’t damper the enthusiasm surrounding the event. Lugoff Ford was once again proud to help the local high school purchase needed equipment. While Lugoff South Carolina may be a small town in most people’s eyes Lugoff Ford is doing big things. It’s obvious the commitment is not only to employees that commitment reaches many areas of the community. Enriching the lives of others is the driving force behind this small town dealership.